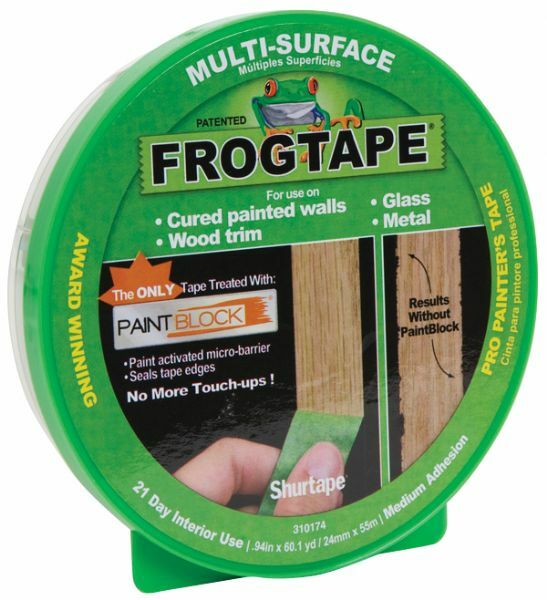 Treated with PaintBlock technology a super-absorbent polymer which reacts with latex paint and instantly gels to form a micro-barrier that seals the edges of the tape preventing paint bleed. * The result? Very sharp paint lines! Multi-surface features medium adhesion for use on cured painted walls wood trim glass and metal and 21-day removal. * Delicate surface features light adhesion for use on freshly painted walls wallpaper faux finishes and primed wallboard and 60-day removal. 5.5" x 5.5" x 1.18"